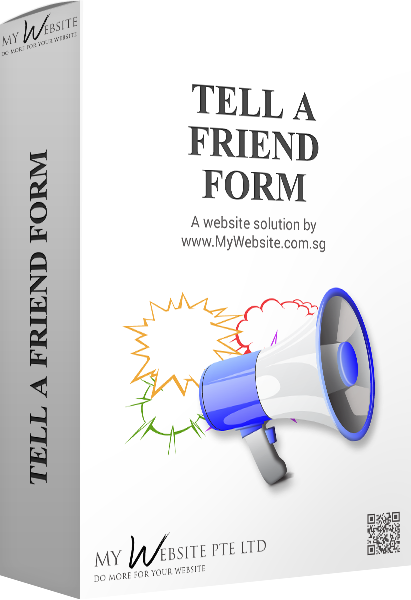 Tell-a-Friend Web Solution enables your visitors and customers to tell their friends about your website, services, products or promotions. For example, they see a promotions on a free spinal check, recall that one of their friends should need it due to recent complains on Facebook, they can inform that friend, or others at the same time, of the irresistible promotions. You can also offer a small discount on their next purchase should they tell more than x number of friends of your products, services. iii. It's just a one-time setup and basically zero maintenance cost as nothing needs to be updated.